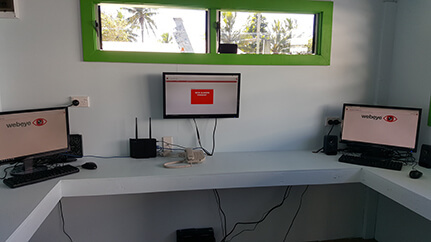 A new alarm monitoring station, housing the webeye platform has opened on the Cook Islands located in the South Pacific Ocean. When you think of monitored alarm systems, your head would probably envision a James Bond style set up with a futuristic building containing sophisticated, expensive and technologically advanced equipment. Inside would be a plethora of highly trained eagle eyed operators watching screens acutely and waiting for the metropolis it serves to reveal its dark veil of criminality in progress. What wouldn't be in the forefront of your mind is a remote, exotic, tiny island, right in the middle of nowhere. A small clinical looking room with just two windows side by side where you can just make out a few tropical plants that give away the true location. In it and striking by its sparsity a "U" shaped work bench containing three small computer screens and a radio communications device. 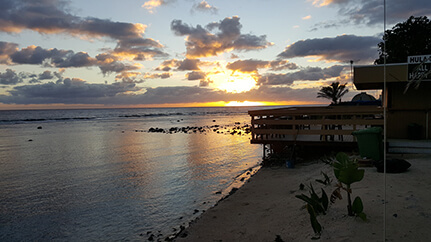 Rarotonga, an island forming part of a group known as the Cook Islands and located in the Southern Hemisphere some distance off the coast of New Zealand is this location. This is the new, albeit unlikely home of an alarm monitoring station, housing the Webeye platform. It's simplicity, astonishing, yet the technology, astounding. Simply astonishing: No expensive up front set up costs, just three computers and an Internet connection, plus, the alarm systems and services it intends to monitor and somebody to watch them. Technologically astounding: The alarm systems/services are programmed into the Webeye platform located in the Northern Hemisphere, to be precise, the U.K.
Held on the back bone of the World Wide Web and reachable with unprecedented reliability, the platform processes alarms and informs the operators back in Rarotonga through an interactive web portal. This process takes milliseconds despite the huge distances. 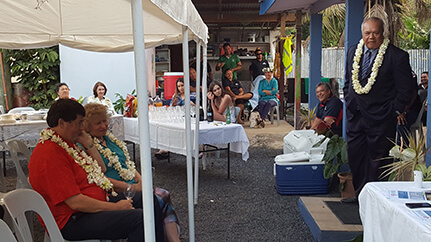 Rarotonga is just one of 86 new clients this year that have understood and bought into this new and emerging technology. We wish them luck in their venture and assure them we will be there to support their entire journey. This very sophisticated yet somehow simplistic approach is also ported to mobile phones/tablet technologies via a native alarm handling and management app. Now, even the small expense of a dedicated room could be disposed of in favour of a field based alarm handling crew or if you want to get really clever field and room based could be combined, ideal for security guarding. A small monthly pay as you go fee for each system/service connection, is the only price paid, making it really affordable. Have you been inspired by this? could you see benefits for you and are Interested in what we have to offer? Wherever you are in the world and however small or big you or your company is, we are waiting to hear from you, so call us soon.